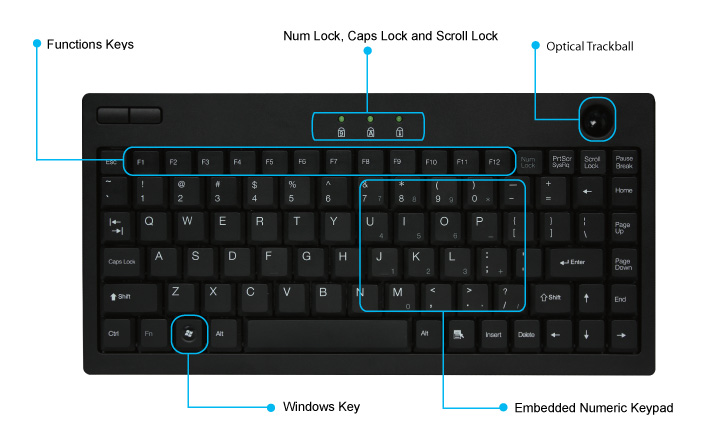 The Mini Trackball Keyboard provides you with optimum control of your computer without the need of a mouse. The integrated trackball and mouse buttons provide you with everything you need to navigate your screen quickly and efficiently. The keyboard’s trackball delivers superior precision and smooth motion with no maintenance or cleaning required. This 11.75” Adesso Mini Trackball Keyboard is perfect for compact spaces like small office cubicles, home offices and kiosks.